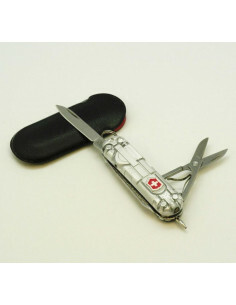 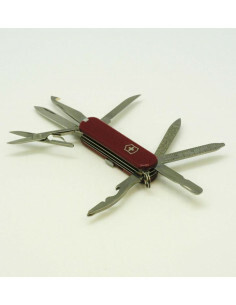 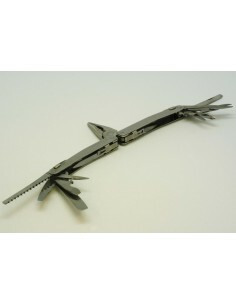 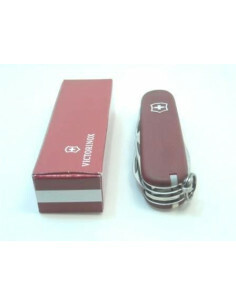 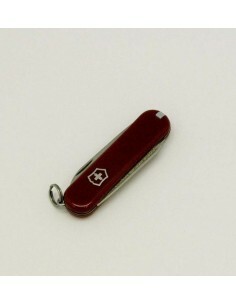 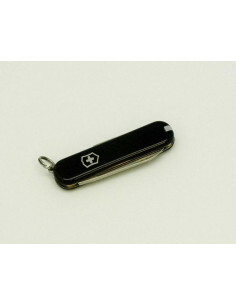 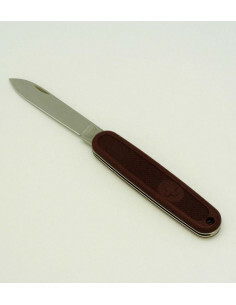 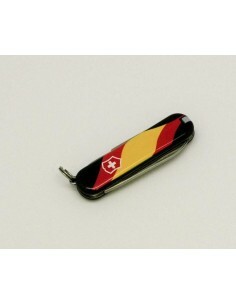 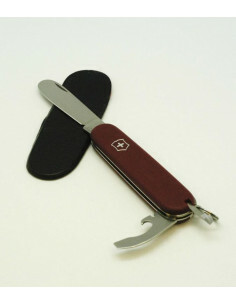 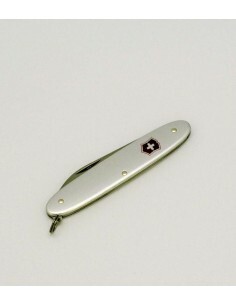 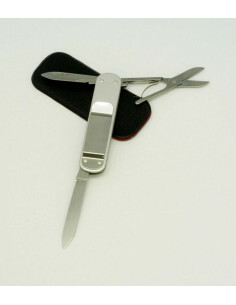 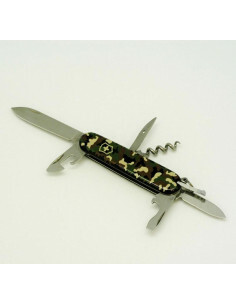 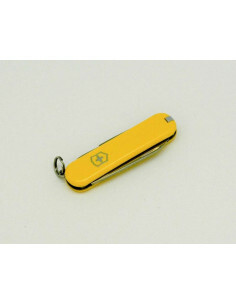 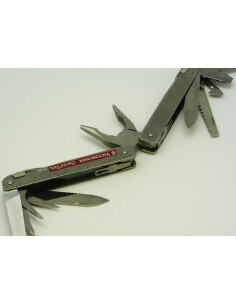 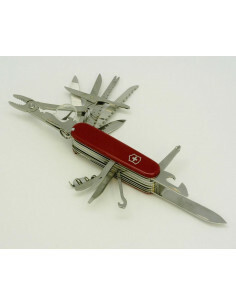 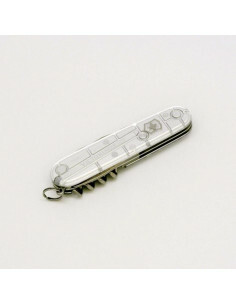 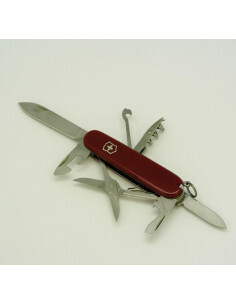 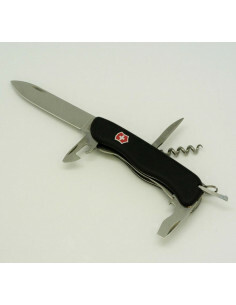 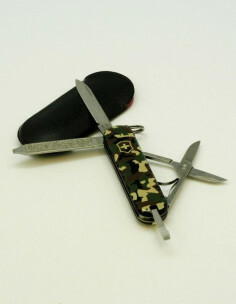 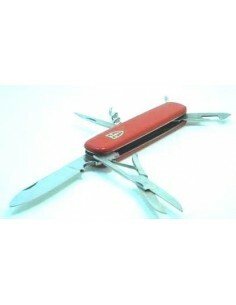 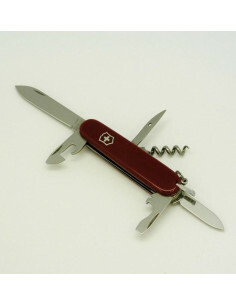 VICTORINOX multi-tool folding knife. 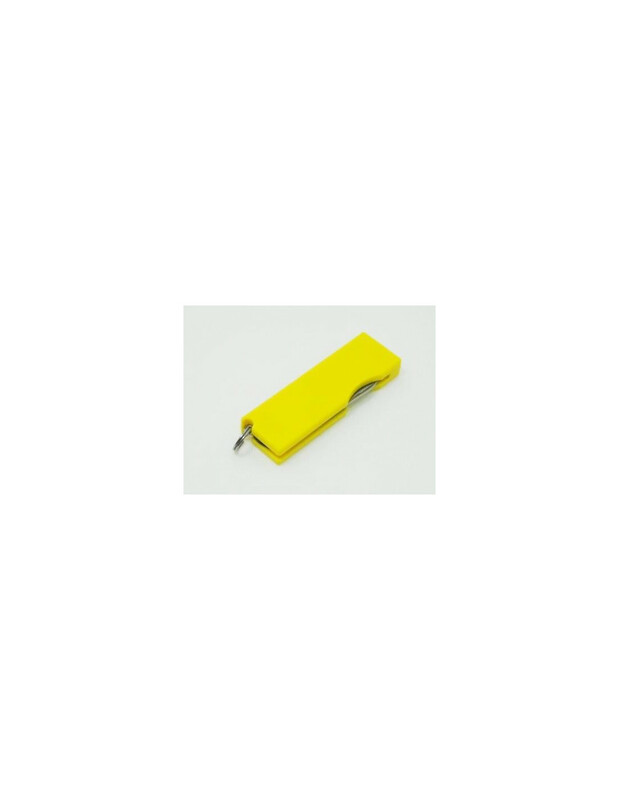 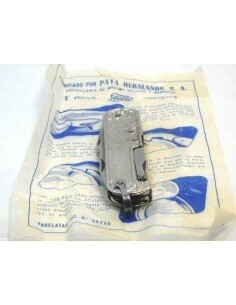 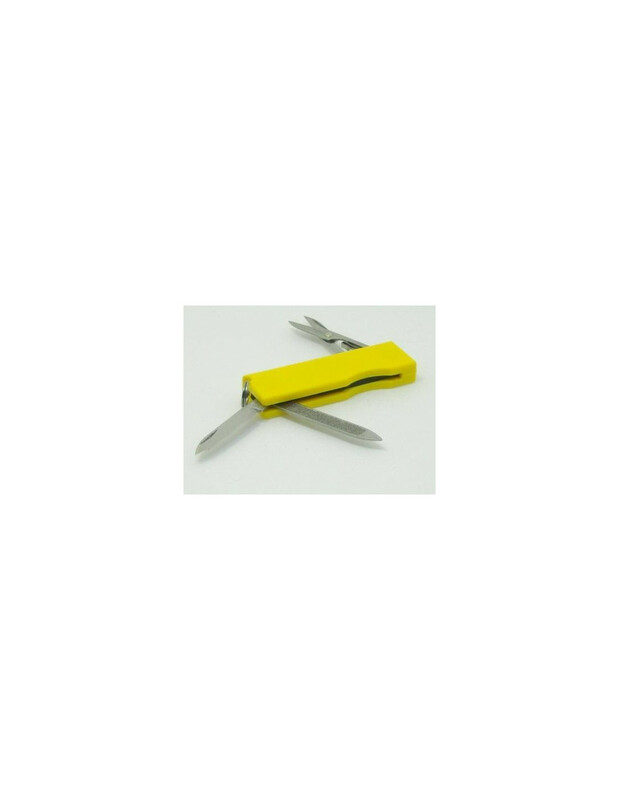 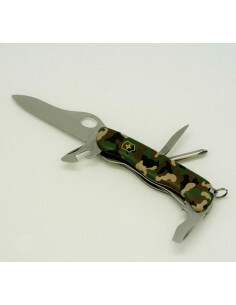 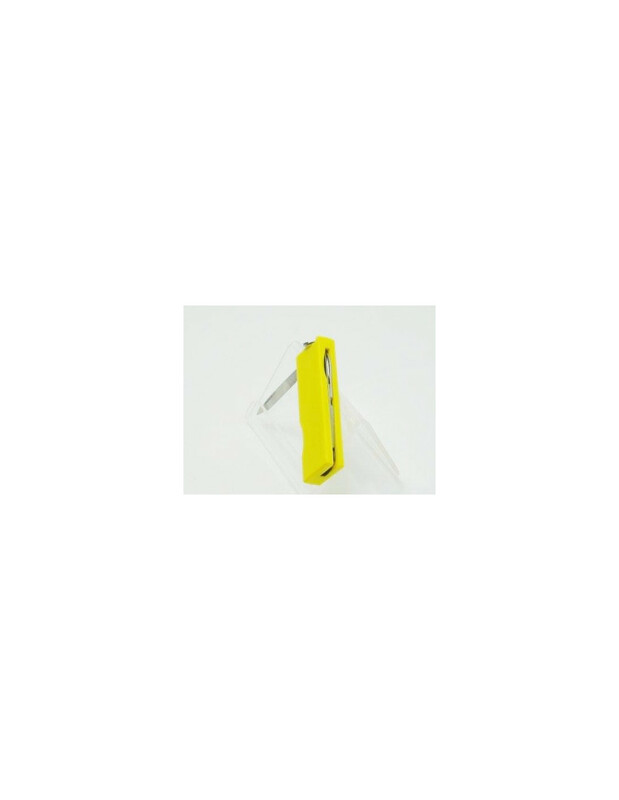 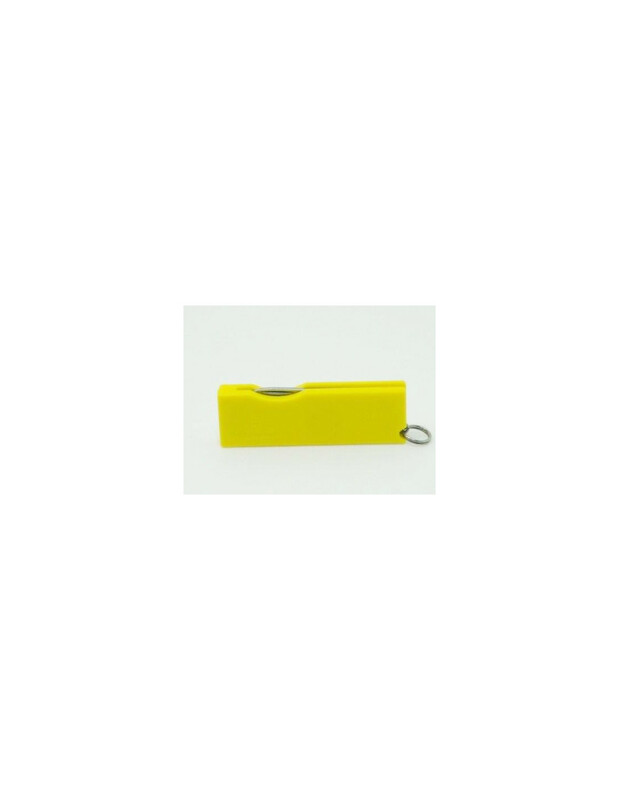 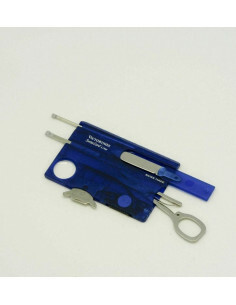 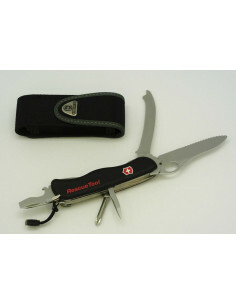 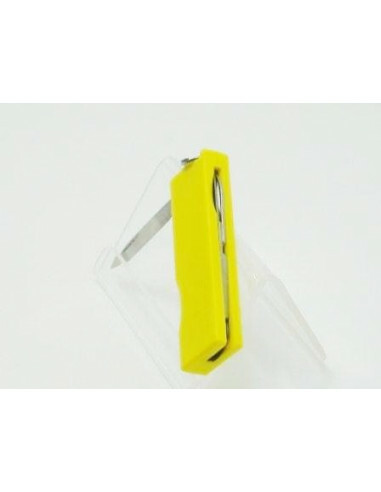 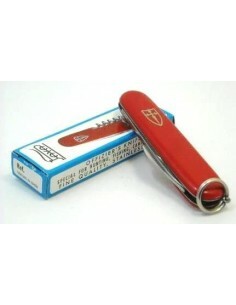 4 tools with main blade, file, nail cleaner, scissors, likewise, it features ring and white leather sheath. 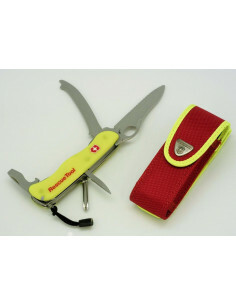 Available in color fuchsia, red, blue, white and turquoise as well as yellow.